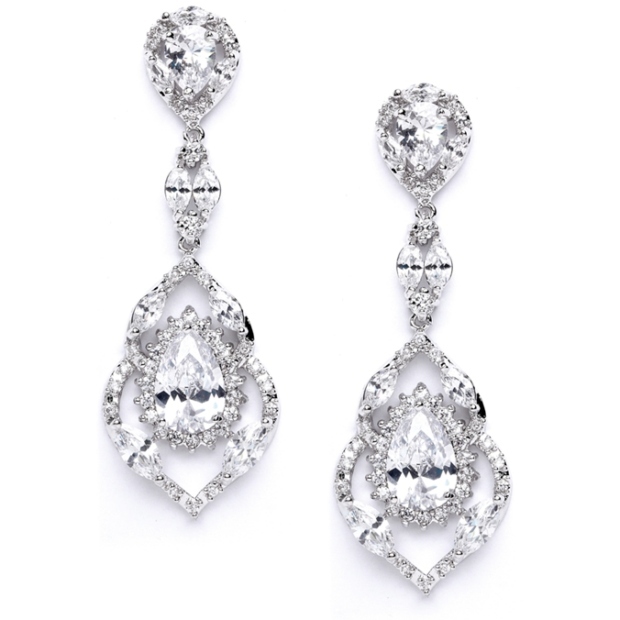 * These 2 1/4" h x 3/4" w Wedding or Prom Earrings boast a gorgeous modern design featuring AAA grade Cubic Zirconia stones at an attractive price. * Our brilliant CZ's set in Genuine Silver Rhodium have the look of real Platinum Bridal Jewelry. * For a sparkling and fresh design sure to dazzle your bridal, bridesmaid and prom customers, Mariell presents our best-selling new Cubic Zirconia Wedding Earrings at an attractive wholesale price! * These dangle earrings will make a profitable splash in any retail or stockists jewelry showcase!